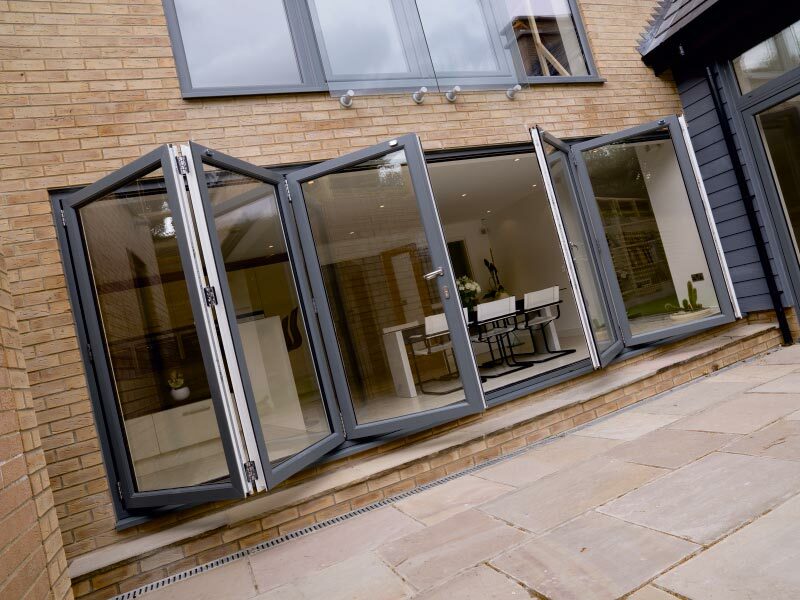 You can choose between uPVC and aluminium when designing your Bi-fold doors. Both have their advantages. Aluminium is lightweight and durable while uPVC is a high quality material that is strong and will not discolour over time. Depending on how big the opening is, you can either have 2, 3, or 4 panels that will fold to either side when opened. These doors give you the option to open up your entire living room to the outside world, creating the perfect opening to your garden. Even when closed, they will let the light flood in and will add a touch of elegance to any conservatory or home. Our Bi-fold doors come in many different colours and designs making them a very popular choice with our customers in and around Essex. Homefront Windows can give you a free no obligation quote on all our aluminium and uPVC Bi-fold doors.